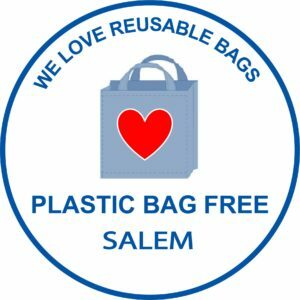 In the fall of 2016, the Salem City Council passed a Plastic Bag Ordinance that restricts the use of single use plastic bags by all retail and food establishments in the City of Salem. With this action, Salem joins over 70 cities and towns in Massachusetts, including the nearby communities of Marblehead, Gloucester, Manchester-by-the-Sea, Hamilton, and Ipswich in restricting the use of plastic shopping bags. The Ordinance went into effect January 2018. The ordinance restricts the use of single use plastic bags by all retail and food establishments in the City of Salem. This will affect any commercial establishment, whether for profit or nonprofit, any and all food vendors and retail stores. The ordinance seeks to promote the use of reusable checkout bags by retail establishments located in Salem as well as to reduce the number of single use plastic bags that are being used, discarded and littered on our streets. During 2017, SalemRecycles volunteers helped city residents and businesses prepare for the 2018 bag ban. A letter outlining details of the ordinance was sent to each business in Salem. Volunteers were present at community events such as the Salem Arts Festival and Farmers’ Market and canvassed many businesses, large and small, in order to answer vendor and customer questions. 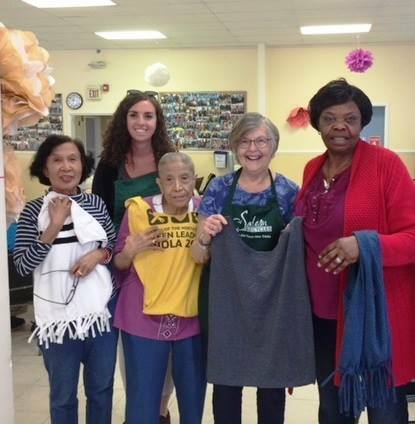 At our recycling events, we’ve either swapped reusable bags or handed out free homemade bags to participants. Some plastic bag myths debunked. Plastic bags are better than paper bags. No. This claim comes from a misunderstanding of life cycle analyses that do not take into account the larger effects of plastic, including manufacturing and disposal. Using reusable bags is a better choice than either plastic or paper bags. Bag laws hurt local businesses. No. It is true that paper bags are more expensive than plastic for businesses. But multiple studies have shown that once a bag law is in place, consumers become more conscientious, and bring reusable bags, which ultimately save businesses money. No one has ever gone out of business because of a bag law. Bag laws hurt the poor. No. In fact, disadvantaged communities suffer disproportionately from environmental degradation. Decreasing the amount of resources spent on solid waste frees municipal funds for much needed social programs. No sew, bottom tied bags; The beginning and end of this video has 2 different ways of making a slouchy bag.